THE CREATOR OF AIKIDO, MORIHEI UESHIBA, IS BELIEVED TO HAVE SAID THAT WHEN HE HAS TO STRIKE AN ENEMY, HE WILL DO THAT WITH THE LARGEST WEAPON AVAILABLE: THE EARTH. 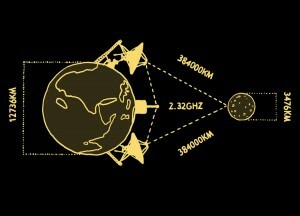 MIMPROJECT WILL STRUCK THE SOUND WITH THE NEXT LARGEST OBJECT AVAILABLE: THE MOON. THE MUSIC OF MIMPROJECT WILL BE BOUNCED AGAINST THE MOON WHENCE IT WILL REBOUND AND RETURN, CREATING ONE OF THE BIGGEST ECHO MACHINES KNOWN TO HUMANKIND. In essence, the following will happen – a musician appears, with a cable in hand, demanding, “Where’s my FX processor?” – “Here!” he’s told – and he’s plugged into the Moon. MIMproject’s lunar sound will not revamp your chakras nor make you more enlightened. All that you will hear is the distance from here to the Moon and back. What you call out, the Moon will echo. 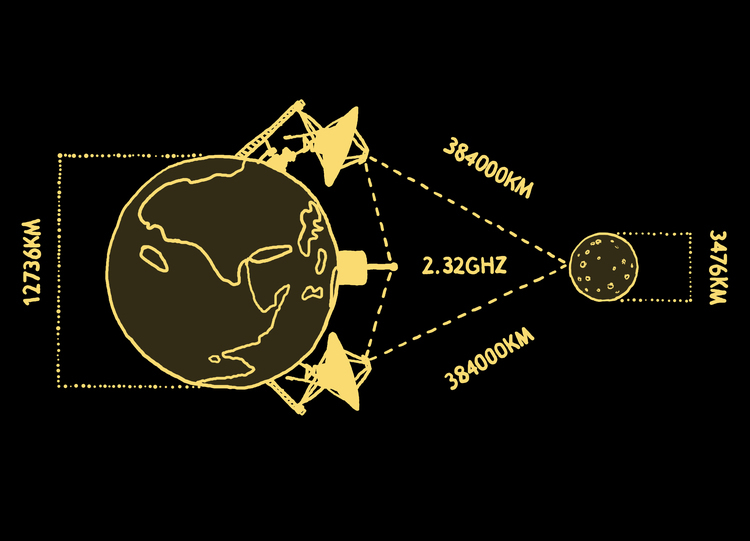 Assisting us in all this will be one of the world’s leading radio amateurs engaged in communication with the Moon, Viljo Allik. Photos by Klassikaraadio/ERR, infographics by Tencu.